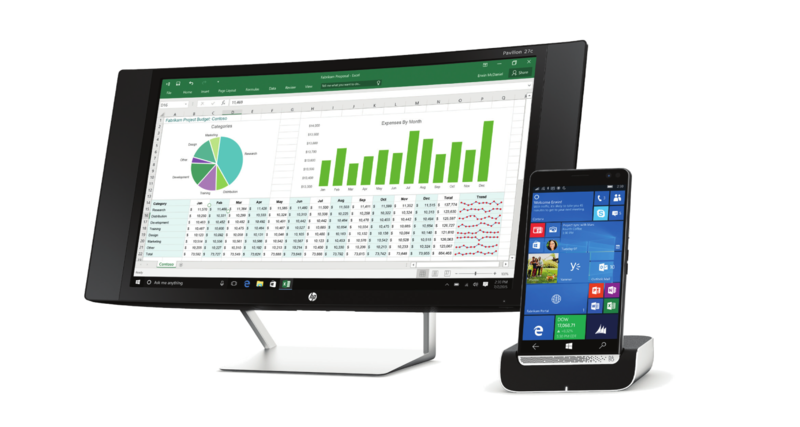 The HP Elite x3 is an old member of the smartphone industry and belongs to an ‘already dead’ operating system from Microsoft. However, you will still be able to take advantage of it when it comes to productivity thanks to the latest deal, which is going to set you back by just $299. The smartphone itself measures in at 6 inches and features a resolution of 2560 x 1440. It is certainly a large smartphone that allows you to enjoy a lot of screen real estate but at the same time, the flagship also allows you to expand that screen size a lot more thanks to the existence of the Desk Dock. The bundled Desk Dock and the smartphone retail for $299 at the Microsoft Store and this will enable the user to plug in their Windows 10 Mobile device into the available port and attach an available display to take advantage of the Elite x3’s Continuum features. With this feature, you will be able to enjoy Windows 10 Mobile in desktop form and if you care about media consumption and getting work done on this platform, then the HP Elite x3 bundle with serve you perfectly. Keep in mind that as soon as you hook up the HP Elite x3 to the Desk Dock and this accessory to an available display, you will not be able to see the Windows 10 interface, but the Windows 10 Mobile one instead. It is slightly different, but if you want all the apps for word processing, media consumption, forming spreadsheets, and more, then you will see that Windows 10 Mobile has all that to offer, despite being continuously criticized for not having an app repository as large as Google’s Play Store or Apple’s App Store. Also, the phone works with GSM carriers only, which in the U.S. means AT&T or T-Mobile. Also, you cannot take advantage of this deal online where it is listed as being out of stock. If you want to purchase this bundle, you will have to take a visit to your nearby Microsoft Store (click here to find the latest Microsoft Store outlet). So what do you think? Is $299 an excellent offer for something that is packing a Snapdragon 820? Tell us down in the comments.